Things getting testy in Tampa Bay between the Bucs and QB Josh Freeman. To bad, he showed potential at one point, but now he’s a bit of a pain for them. To say that the relationship between the Tampa Bay Buccaneers and Josh Freeman is uncomfortable would be a massive understatement. The quarterback was listed as inactive heading into Week 4 after losing his starting job to rookie Mike Glennon earlier in the week. The benching prompted Freeman to voice his desire to be traded, and the feelings seem to be mutual as the Bucs didn’t give him the warmest of treatments on Sunday afternoon. While some of the inactives were on the field prior to kickoff, Freeman was nowhere to be seen, and he also wasn’t spotted on the sidelines during the game. Instead, the signal caller was told to watch the game from a suite at Raymond James Stadium, according to Mike Garafolo of FOX Sports 1. Could American boycott derail NHL’s Olympic dreams? The Government should not force Olympians to miss the Olympics because of political reasons but only for health reasons. These men and women train and compete for 4 years to earn their spot in the Olympics, and now this Republican moron wants them not to go because the USA doesn’t have the guts to go get Snowden themselves? Are you kidding me Mr. Graham? A listing to the events surrounding E3 on various media outlets. Gary Smith and his crew posted this and I agree, this game does look amazing. That is a nice studio. And at the price tag of $125M it isn’t cheap! When you have all that money and technology can buy, why not use it? On Tuesday, ESPN unveiled a digital rendering of its “Digital Center 2,” which reportedly will end up costing the sports media giant $125 million to construct. Included in the 193,000-square-foot space are four brand-new studios and six production control rooms. The brand-new building will open in 2014 and will be the Bristol, Conn., home of SportsCenter, among other programs. ESPN released a video of what one of the new studios will look like. See it below. Great work by the Bruins fans! Thoughts are with the victims, this is sickening. This is sickening! I have never been in a crowd of a children’s sports game and witnessed such awful behavior. Some parents are really bad role models. This is Part 1 of a 3-part piece on problems surrounding minor hockey. Check back next monday for part 2! Watch Dogs is a game I have been watching since it was introduced at E3 in 2012. Now that it is on the PS4, it definitely makes getting a PS4 more likely for me an option on release day. Even if Watch_Dogs is not a release day game, I bet Madden will be so that would be a good bridge game. What PS4 games are you looking forward to at this early stage? What a display by Jonathan Drouin. Credit goes to Ice Nation UK. Anybody who enjoys watching a hockey player completely strip every member of the opposition of their dignity must watch the video at the bottom of this post. 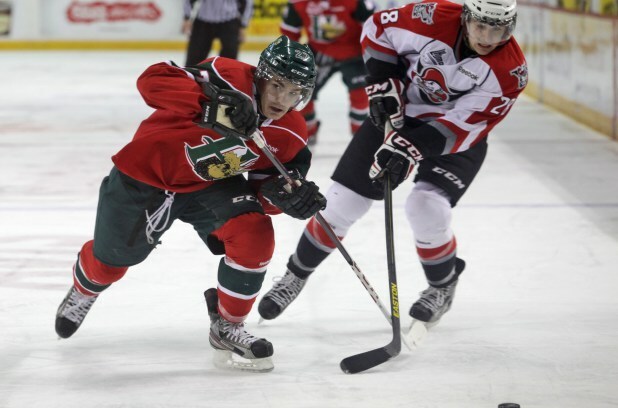 Jonathan Drouin, a top prospect for the 2013 NHL Entry Draft and who is in just his first full season with the Halifax Mooseheads of the QMJHL, shows an unbelievable amount of skill, tenacity, toughness, work ethic and smarts in 15 seconds of awesomeness.